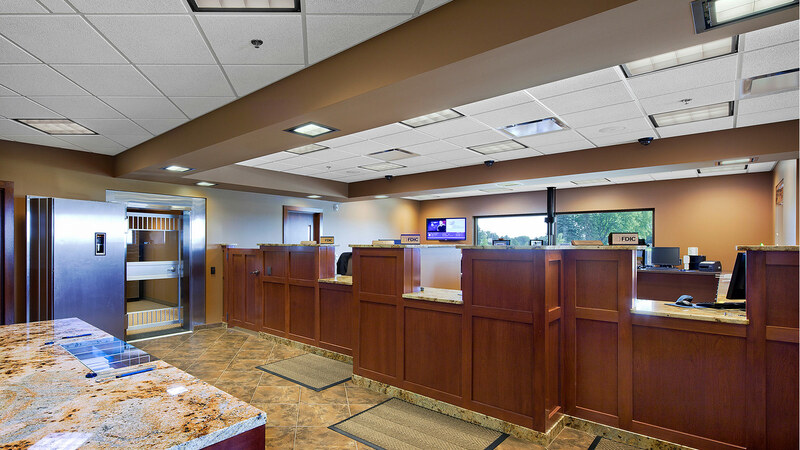 Exceptional client service is pivotal to TSP’s mission for success. 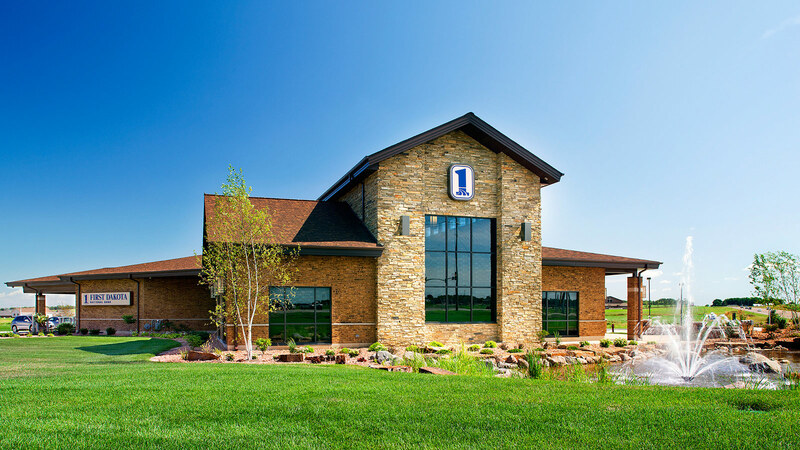 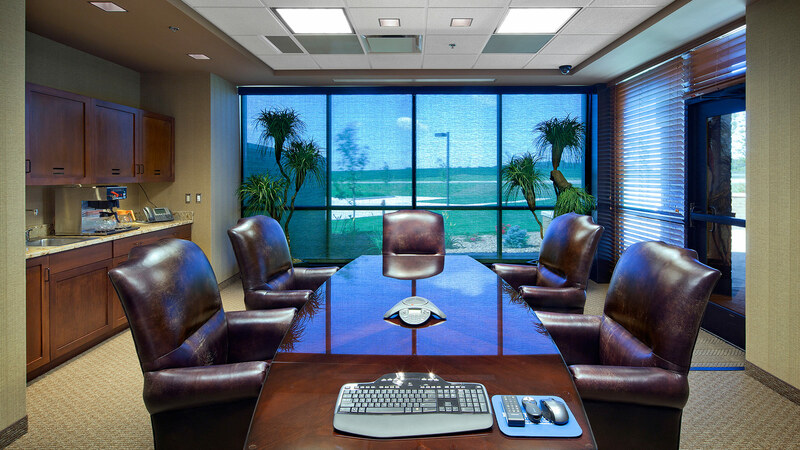 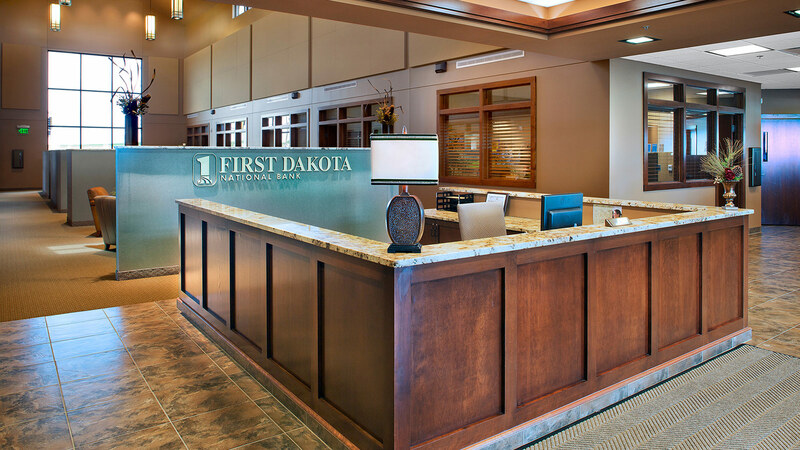 Our continued relationship with First Dakota National Bank allows us to have a deep understanding of their needs. 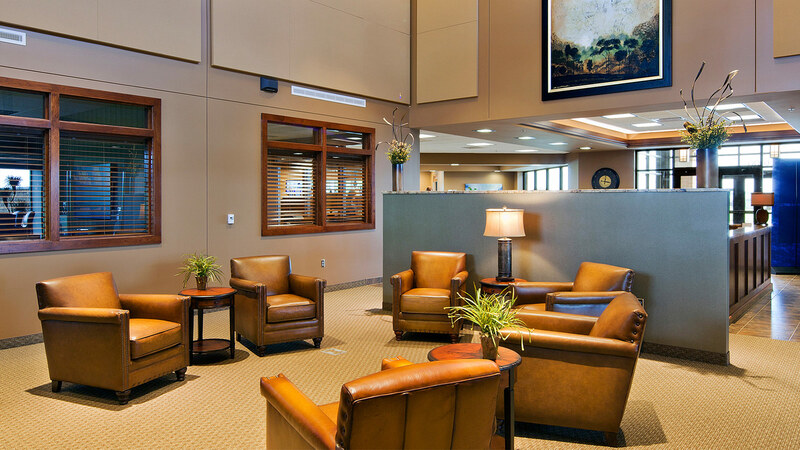 We find the greatest success when we use our skills and passions to develop the single best solution that meets our client’s needs. 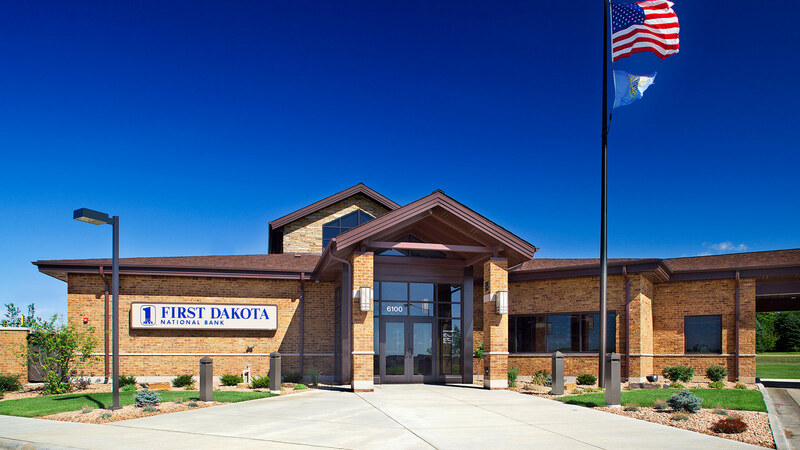 This airy, single-story building on the growing east side of Sioux Falls is one of several new branches TSP has designed for First Dakota since 2007. 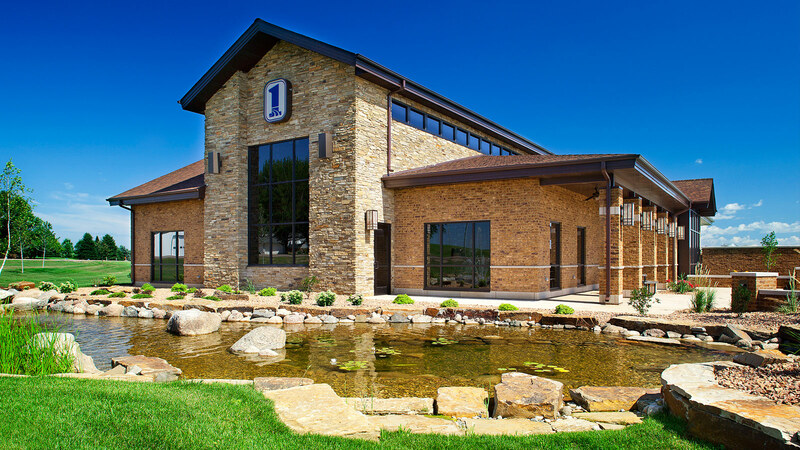 It incorporates an exterior water feature, which has become a signature of the bank’s properties. 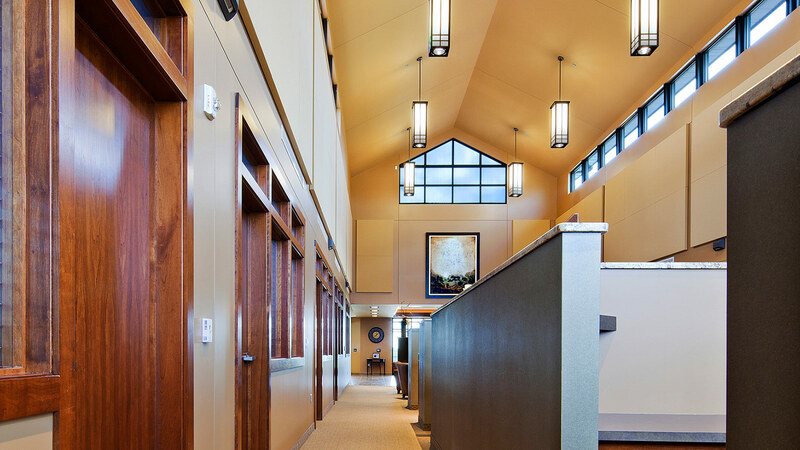 Inside, a soaring ceiling with clerestory windows floods the spaces with natural light, complementing the earthtone color palette and warm wood accents.